Case studies are a powerful marketing tool and feature as a critical part of the content marketing mix for almost every Business to Business (B2B) organization. CMI research shows more companies are using case studies – 77% in 2015 and say they’re highly effective. An article from Forbes ranked case histories as one of the five most important marketing tactics for B2B businesses (in order): in-person events, webinars/webcasts, case studies, white papers, and videos. Eccolo Media, which surveyed more than 500 tech purchasing decision-makers and influencers, found 56% of enterprise-level purchasers and 23% of small business owners said case studies influenced a technology purchase from them in the past six months. A well-researched and written case study incorporating in-depth user reviews can boost interest and revenues. Hiring What If What Next to write it for you saves you staff time, and ensures a professional level of quality. 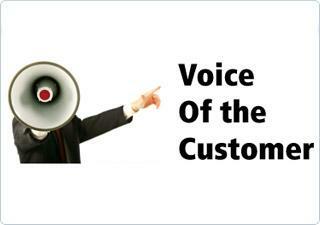 It may also give your customer a chance to speak more candidly and enthusiastically than they might to you directly. A great opportunity for meaningful market feedback otherwise not available. Here’s the case study format What If What Next has found to be most effective. The Customer: The spotlight is put on the customer. The Challenge/Opportunity: In the words of the customer, what problem or condition are they trying to change or improve? The Path: The steps the customer took to solve the problem, including other products and services they investigated. This is the place in the case history where the reader begins to identify and empathize. The Discovery: How the customer found out about your company. The Solution: A full description of how your product or service solved the customer’s challenge. Case studies are powerful because they bring the customers own voice forward. They outline the unexpected and innovative ways the client has been able to use the product, and additional ways they expect to be able to use it in the future. The case study ends with a summary of resources required to use and maintain your product or service and other relevant details. The Implementation: How the customer implemented your product or service, including details such as time commitment or obstacles overcome. The Outcome: How well your product solved the customer’s problem in detail, stressing hard numbers, such as savings, revenue gains, sales growth and return on investment. Fee: $1150 for each case study, $3150 for 3 to support a marketing campaign. Client telephone interview to discuss the customer, story & format. Research on the customer and story. Telephone interviews with up to 3 customer representatives. One round of revisions (if necessary) based on the feedback on the first draft. Final graphic design and production of Case History online and in PDF format suitable for print. Researched and written by the highly experienced What If What Next Tech PR Team. Our Guarantee: If you are not satisfied with the work product we won’t charge you. Interested? For more information call 416-568-5254 or email us at info@whatifwhatnext.com.